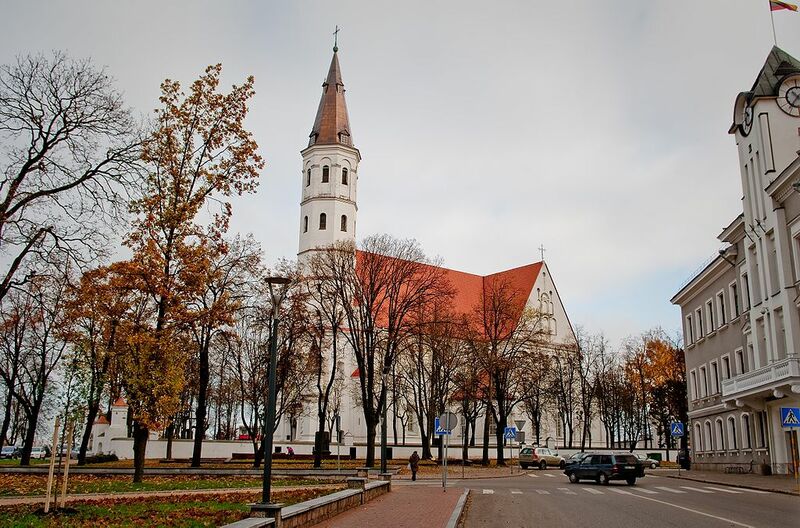 The heart of the Šiauliai city is the Cathedral of the Apostles Saints Peter and Paul. 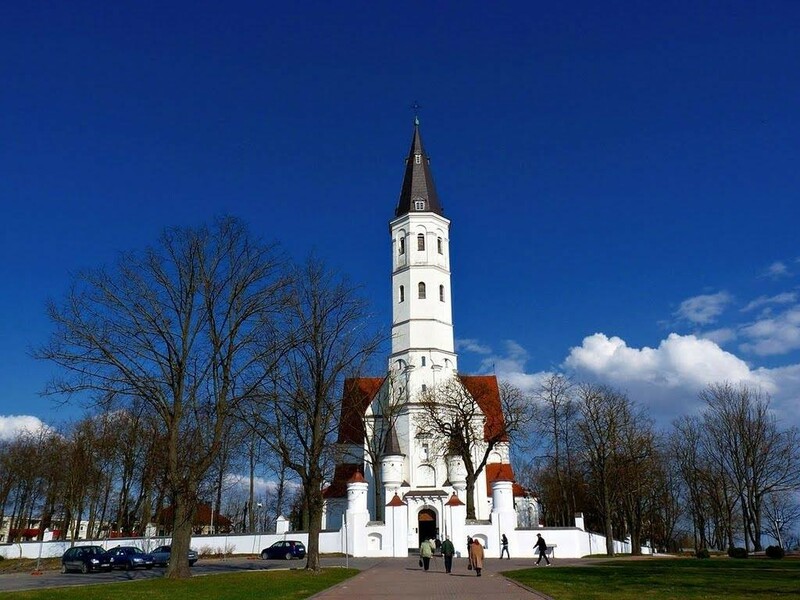 The church is Lithuania’s most prominent example of Renaissance-mannerist architecture. 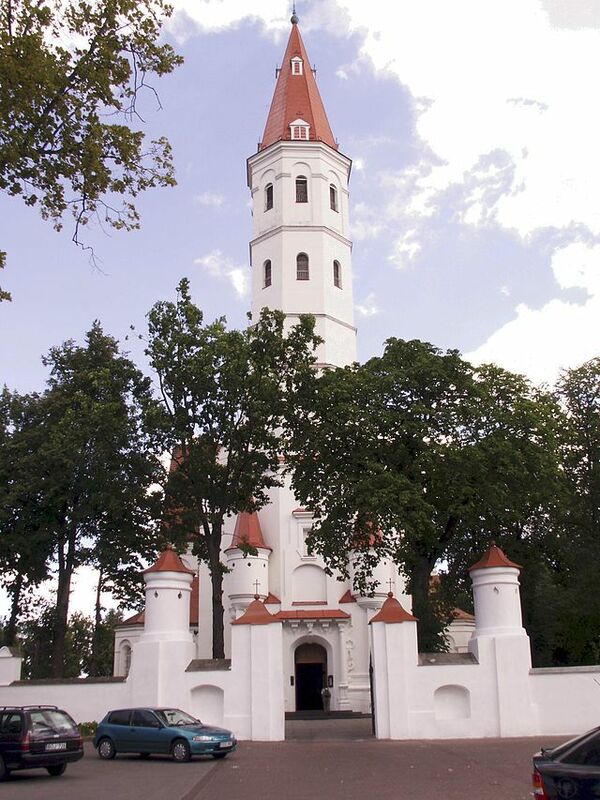 From whatever direction you arrive in Šiauliai, you are sure to see its 70-meter-tall graceful white tower. The majestic edifice has some unique architectural details. The dates usually given for the construction of the current brick building are 1595-1625. It replaced a small, traditional-style wooden church built in 1445. The church has suffered repeatedly amid the tumults of history, including devastation by Swedish invaders and damages during the Great Northern War of 1700–1721. The church, especially suffered in July 1944 at the hands of retreating German soldiers. Fire destroyed the wooden parts of the structure as well as the artwork, altars, organ, furniture and balcony, and the invaluable church archive. The damaged side gables broke away from the roof and collapsed, breaking the arches of the transept. Meanwhile the floor caved in, exposing the cellar. Reconstruction after the war proved a lengthy process. The main structural repairs were completed in 1956. Then work began to decorate and furnish the interior, renovate specific sections of the building and put the environs in order. 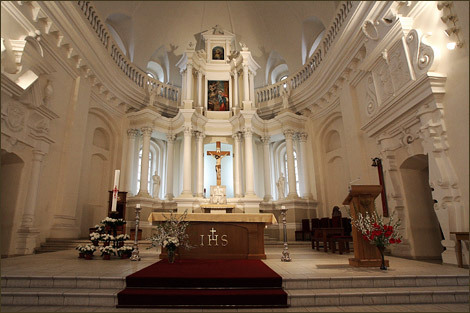 1974 and 1975 brought the installation of a new main altar and two side altars with a restrained neo-baroque style. Pope John Paul II granted the church the title of Cathedral when he created the Šiauliai diocese in 1997. The Cathedral building clearly displays the spirit of the Renaissance. It has a Latin-cross floor plan with a single nave, a transept and a presbytery that ends in a hexagonal apse. Two sacristies of equal size lie at either extreme of the presbytery, balanced on the opposite side of the transept by two chapels. The main (western) façade is dominated by the tower standing at its centre, while the two identical lateral facades stand out for the sharp contrast between that tall tower and their own squat density. The tiled roof is particularly striking, as are the steep pediments of the transept. The most original aspect of Šiauliai Cathedral is its fortress motif. The building seems to be intended for defence functions. Bay windows on the main façade are quite apt for shooting, as are the conspicuous firing holes in the churchyard gate towers. The internal balcony encircles the entire church, even behind the main altar, giving access to circular windows that could, if needed, serve as firing holes. The defence motif is especially emphasized by the churchyard gates in front of the main façade, which are unique in Lithuania.